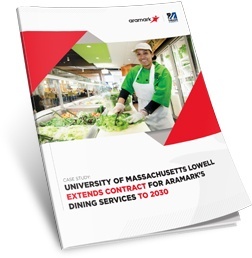 University of Massachusetts Lowell extended their contract for Aramark's dining services to 2030. What made them decide to do this? Download the case study to discover how their partnership achieved these big wins and more.